Now a days every smartphone user like to use Android Smartphone due to its features and unlimited apps which the Google Play Store is offering to satisfy our needs to do more with the device. Google PlayStore have huge collection of apps, games etc. which are still counting. Every Android Smartphone user might like to play games or use different types of apps on their smartphones to stay entertained as well as to do their work. But when an Android smartphone user wants to use a specific app which is available in Google PlayStore on his computer or laptop it becomes difficult, as some of the Android Apps which are available in Google Playstore doesn’t allow PC Version of their App so I think at this time this article will help you all people who are looking around for help on using Android Apps on PC. Yes you heard it right, now you can use Android Apps on PC, this method to use Android Apps on PC have given freedom to the Android Smartphone user to use Android Apps on PC. So now how to use Android Apps on PC you will get to know by following below procedure. 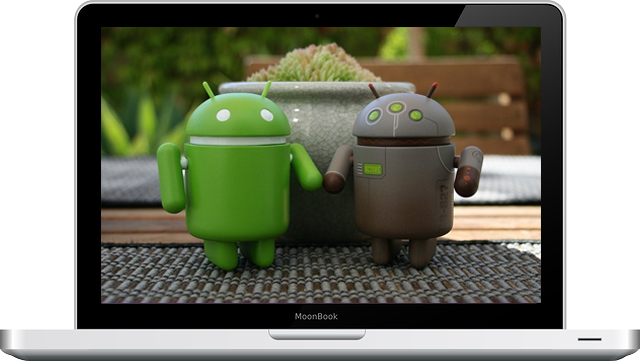 Normally there are two methods with which you can start using Android Apps on PC and we have mentioned both these methods to use Android Apps on PC. Let us tell you that BlueStacks App Player is available for all OS which includes Windows XP, Windows 7, Windows 8, Windows 10 and as well as Apple MAC OSX. That means you can now install and play Android App on PC with operating systems Windows XP, Windows 7, Windows 8, Windows 10 and MAC OS X. After the software BlueStacks App Player successfully gets downloaded on to your computer, just run the download file BlueStacks App Player and install it. After the installation process of BlueStacks App Player gets completed, just launch the software BlueStacks App Player from desktop shortcut or from app folder and launch it. Just complete the essential steps like signing in to your Google Account to download the Android Apps from Google Playstore. On Completion of the essential first steps of BlueStacks App Player you can now search any Android Apps in Playstore and install them in BlueStacks App Player and Play it. 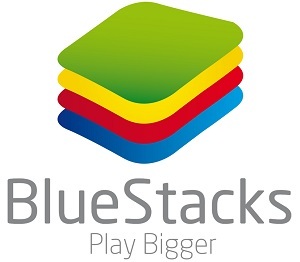 All the Games or Apps which you install in BlueStacks App Player will work on HD mode so there will no compromise of the quality you can also make full screen and enjoy the app or games on your Computer in HD. Only one con in Bluestacks App Player is it will not work on Computers with low system configurations, below are the system requirements of Bluestacks App Player. Minimum 2 GHz processor or more for better performance. Your PC should contain minimum 2GB RAM or more. PC Hard-disk free space should be more than 9GB to store Android Apps or Games installation data. Make sure you have updated PC Graphics Drivers. Bluestacks App Player should be installed in same drive where you have installed your Windows. To know more about Bluestacks App Player watch the below video. If you have already used our first method to use Android Apps on PC using Bluestacks App Player software and you have found that it is making your PC Slow than you can opt this method as this method to use Android Apps on PC will work smoothly. YouWave is the second alternative software after Bluestacks which will allow you to use Android Apps on PC on various Windows OS like Windows XP, Windows 7, Windows 8, and Windows 10. You will just need to download the software called YouWave by following this link. After the software gets downloaded on your PC, just install it. After Installation of the YouWave Software, just launch the software. And then you can Install your favorite Android Apps or Game in YouWave and Start playing with it on your PC. The Only Con is this software called YouWave is not available for MAC OS X so you won’t be able to enjoy Android Apps on MAC PC. There is no as such high system requirements to install YouWave software on your Computer, any normal computer will less configuration will be able to handle installation of YouWave. Even though we have mentioned below System Requirements of YouWave. So now you can easily access all Android Apps or Games available on PC by using any of these two methods.